Is There Really Such a Thing as “Ethical Oil”? Photo by kris Krüg Fort McMurray, Alberta. “Good neighborly” activity by oil companies in this region — venting emissions from highly concentrated bitumen tanks into the air — is making some local residents sick. With those words, Levant drills to the essence of his role in Peace River. He’s there to give moral and ideological cover to the companies that are busy digging up the oil desposits along the Athabasca River, deposits that have been shown to be more carbon intensive than more conventional sources of oil. Levant’s speech is, basically, damage control, and it’s a well-practiced schpeel. Levant is host of “The Source” a daily TV program on the Sun News Network (the Fox News of Canada), a platform he frequently uses to offer justifications for the Canadian petro-state. 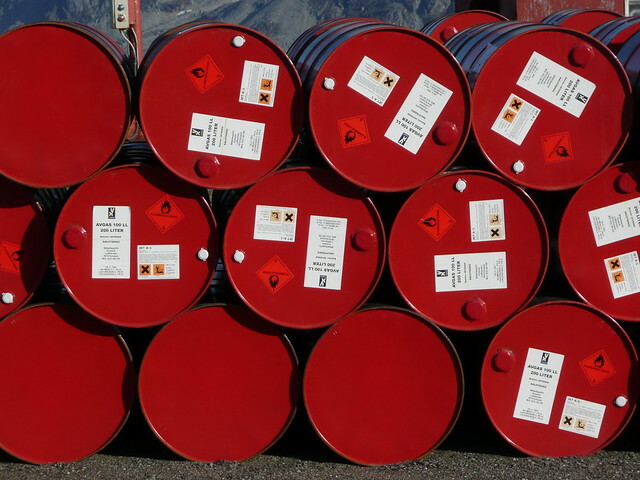 On its face, it seems like a good argument … as long as you ignore the fact that oil is a fungible commodity, and that one more barrel of petroleum from Canada doesn’t necessarily mean one less barrel from Saudi Arabia. Or the fact that the climate doesn’t care where the oil comes from. (Although, for nuance sake, bitumen production is more carbon-intensive than conventional crude oil production.) Or the fact that many Canadian First Nations see the tar sands extraction as a violation of their longstanding treaty rights, surely an ethical infraction. Photo by ezioman/Flickr One more barrel of petroleum from Canada doesn’t necessarily mean one less barrel from Saudi Arabia. The Peace River area has the third largest deposits of bitumen in Canada. Located in the “golden” (i.e., ethical, moral, good) heart of Canada’s oil and gas industry, Peace River is approximately a 420 mile drive southwest from Fort McMurray’s tar sands, and approximately a 430 mile drive northwest from Hardisty, Alberta, the starting point of an extra-large question mark known as the Keystone XL pipeline. In short, it’s just picture-perfect for an oil industry conference. The day prior to Levant’s keynote address, I’m walking around the Trade Show pondering: What ethics are the “good guys” and girls selling? Kirby Dachuk, 41, has been working in Alberta’s oil industry since age 15. He’s currently a field technician for Sewage Master, a local company that provides mobile sewage treatment and collection for oil exploration in remote areas. Standing against the backdrop of Sewage Master’s Trade Show booth advertising “The Cleanest and Most Environmentally Friendly Sewage Treatment Anywhere!” I ask him about the ethics of the oil industry. I interject: “You could say all of that is related, though.” I’m speaking about the extreme weather events linked to global warming, and Dachuk gets my point. But I’ve heard the news, and the unpopular truths. Baytex leads a double life in the Peace River area. Some families aren’t skating. In 2011 Karla and Alain Labrecque and their two young children abandoned their home and farm in Reno Field, a rural community in which Baytex operates. They were the first of seven families to leave the area approximately 20 miles south of Peace River due to the following “neighborly” activity: Baytex (legally) vents its emissions from highly concentrated bitumen tanks into the air. Some people in the area have become sick from the routine practice. In 2012 the Labrecque family launched a campaign to hold the company accountable. They wrote: “Breathable air and a thriving energy sector are not mutually exclusive. 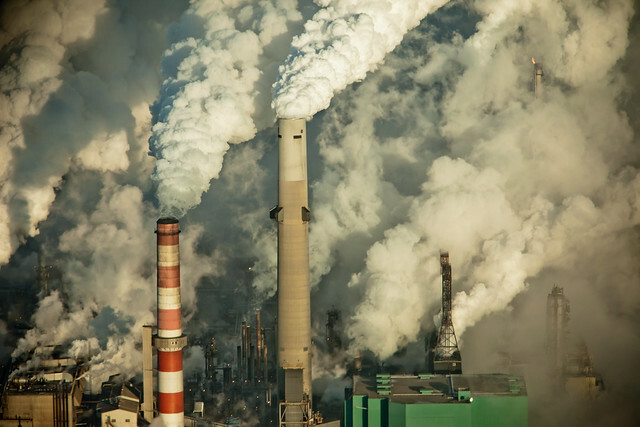 We want Baytex to be accountable for emissions forcing us from our homes.” The following year, along with two other families, the Labrecque’s hired Keith Wilson, a lawyer from the Edmonton area that specializes in landowner rights. Together they filed an application for an injunction against Baytex. On March 19, 2014, the Court of Queen’s Bench in Peace River heard the families’ case for “an eight-month interlocutory injunction enjoining Baytex from continuing to release toxic or offensive emissions from its 86 heated bitumen tanks surrounding [the families’] properties in Reno Field.” During the suspension Baytex would be ordered to install tank-top vapor recovery systems on all sites. The families still await the verdict. All of this came to mind as I was standing against the backdrop of the Good Neighbour advertisement. I ask Darcy for her definition of a good neighbor. “What is a bad neighbor like?” I ask. “Because then we’re getting into finger pointing and we don’t want to do that,” Darcy adds. “It’s more about hand shaking than finger pointing,” I say, allusively referencing the clasped hands of a rural landowner with a Baytex oil man featured in a Good Neighbour advertisement that was recently printed in the local community newspaper. Later that day I’m still trying to make sense of the oxymoronic “ethical oil” when I meet Diane Plowman, a retired nurse, who is registered as a community member at the Conference. We speak outside, next to the Belle Petroleum Centre’s front entrance. I ask her about the ethics of the “good guys” and girls. Plowman doesn’t consider Baytex a good neighbor. “Buzzwords,” she says when I ask her about the Good Neighbour (Canada uses British spelling) program. In late January Plowman and other residents attended an eight-day public hearing that was organized by the industry-funded Alberta Energy Regulator (AER). The hearing, also held at the Belle Petroleum Centre, examined “impacts from heavy oil operation emissions and odors” in the Peace River area, which includes both Three Creeks and Reno. The proceeding was prompted by the 881 odor complaints sent to the AER by residents between January 2009 and November 2013. In addition to Baytex representatives, Shell Canada was answerable to the AER panel. Husky Energy, Penn West Exploration and Murphy Oil Corporation, which also have operations in the area, did not provide oral evidence nor did they make themselves available for questioning at the hearing. “It’s the ‘grab and greed’ mentality,” I say. Plowman nods in agreement. This mentality, like “profits over people,” is about following money, not morality. Enter an Orwellian interpretation of Levant’s theory: all Canadian oil is ethical, but some barrels of Canadian oil are more ethical than others.